Home / malaymail / music / nct / nct 127 / news / red velvet / smtown / super junior / update / yesung / Update: Ticketing details for I Seoul U Concert are out! Update: Ticketing details for I Seoul U Concert are out! UPDATED 11 May 2017 - Details for the upcoming SMTown mini concert in Malaysia are out! Known as I·SEOUL·U Concert, the two-hour show will have Malaysian rapper Altimet and pop trio De Fam as the opening acts. Astro customers can redeem passes to the concert via astrocircle.astro.com.my . There will be a mini SMTown concert happening in Kuala Lumpur soon! It’s true! 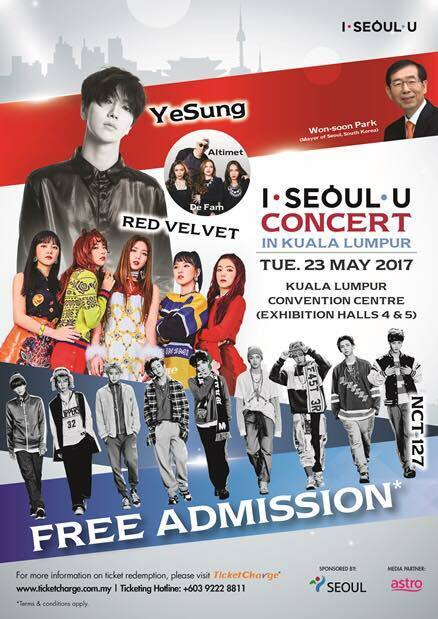 Super Junior member Yesung will be bringing along his juniors from SM Entertainment, Red Velvet and NCT 127 to the Kuala Lumpur Convention Centre on 23 May 2017. And the best part of all, the concert is FREE – but it is with a catch, as you need a special ticket to enter the concert, Xuan Astro reports. 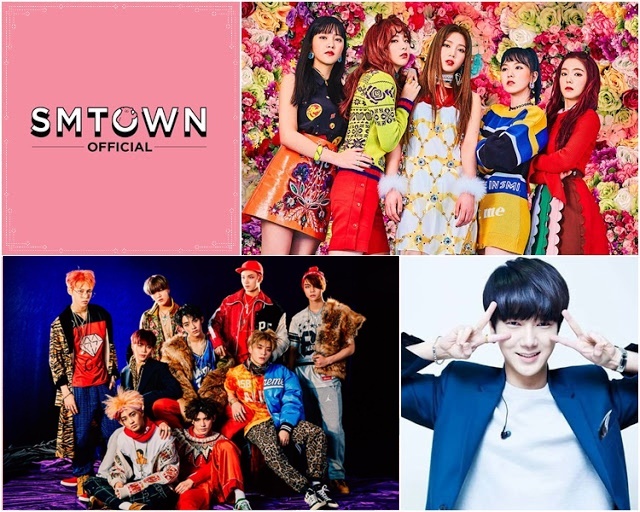 This will be Yesung and NCT 127 first time in Malaysia, while it is the second time for Red Velvet who just recently were down in Kuala Lumpur on 23 April to promote their mini album, “Rookie”. For now, details on how to get the free tickets are yet to be revealed, so stay tuned for more future updates.